I have always tried new cigars when ever possible but this has been the best. I have been smoking cigars for about 10 years and wasn't sure how my girlfriend would handle it. She enrolled me in the Cigar of the Month Society for Valentines Day 2005. She couldn't have done better. In fact she hasn't given me a better gift yet. I have enjoyed each and every shipment. I have always tried new cigars when ever possible but this has been the best. Your choices have been exceptional. I have attached a picture of me when we were in Cancun at the Moon Palace Resort. I am standing on our balcony enjoying some scotch and a delicious X3 Triple Ligero Toro. Keep the great cigars coming. I look forward to the next shipment, and the next, and the next!!! The Rare Cigar Club - New! Just wanted to share how fun it is and keep up the great selections. 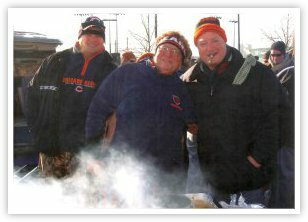 I just wanted to drop your team a line to tell you that the cigar of the month club was a great gift my son gave to me for Christmas. The write-ups on each of the cigars that are included each month are great. I found myself reading about each one and then when I would smoke one I would rate them myself. I have a long list now of most of the cigars and now know more about how they are made and what type of flavors they produce. Just wanted to share how fun it is and keep up the great selections. GO BEARS! It's the perfect program for a novice cigar smoker, or a veteran. 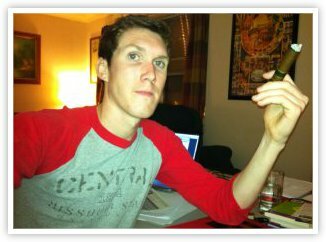 I'm an avid cigar smoker and scotch drinker, but as a law student, I have very little time or money. Your great program has helped satisfy my hobby without breaking my wallet by introducing me to new cigars which I normally wouldn't have the time to explore. 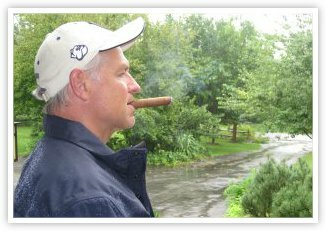 Its the perfect program for a novice cigar smoker, or a veteran. It has been a great investment and an education in the realm of cigars. 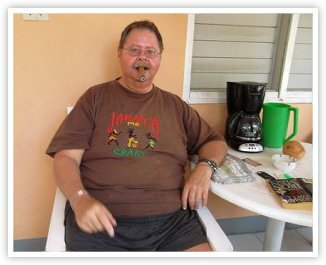 My name is Bob and I have been a Member of The Premium Cigar of the Month Club for many years. I have enjoyed each and every one of the shipments they've sent to me. In all the time I have been with them, they've sent me excellent cigars from all over the globe. As far as I am concerned it has been a great investment and an education in the realm of cigars. The write-ups that they give about each and every cigar are short and to the point. Also their panel ratings are a great help when it comes time to reorder more. Your Ask Murl segment was a nice addition to the Newsletter, it's nice that you have an expert to answer member questions. Thanks so much for consistently providing extremely high quality cigars every month. Thanks so much for consistently providing extremely high quality cigars every month. 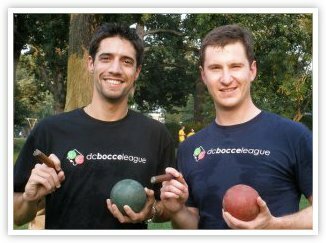 I particularly enjoy your smokes while playing bocce in the local bocce league here in Washington D.C. It's a great way to relax and have fun with friends after work. I've included a picture of myself (on the right) and a good friend from last week's game. I enjoyed the Rocky Patel Royal Vintage Toro from last month's selection while we rolled to victory. Keep up the great work! Along with 3 of my good pals, we drove from Highland, IN to Cooperstown, NY for Ryne Sandberg's induction in to the Hall of Fame. 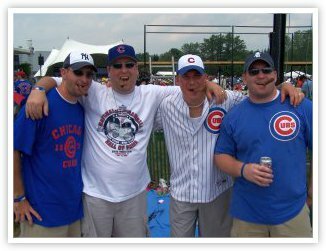 As lifelong Cubs fans, we made it set in stone that if Ryno got the thumbs up, come hell or high water, we would be there. To celebrate, I decided to share some of my monthly selections with the boys. They were more than grateful as we saw the largest returning class of Hall of Famers ever to return to Cooperstown, along with the induction of the great Ryne Sandberg and Wade Boggs into the Hall of Fame. Thanks for the great cigars! Standing on my front porch in Poughkeepsie, NY, in the Hudson Valley, I was about to celebrate the bulk of hurricane Irene passing through without inflicting too much damage. Then, our power went out and the rain picked up again. I decided to celebrate anyway, and pulled out the Indian Tabac Classic that I received in my last Cigar of the Month shipment. And though it didn't bring the electricity back on, it made watching the storm vastly more enjoyable. If there are no cigars in Heaven, then I aint' going! 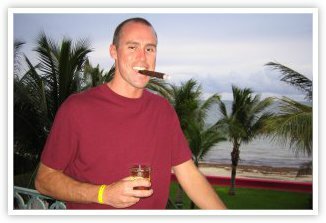 I’ve been a member of the cigar club since 1998 and my passion for cigars dates back 20 years. In my youth I spent summers working in the lush green tobacco fields of Southern Georgia. I still vividly remember the intoxicating, heady aromas of tobacco in the curing barns. I love rich, medium to full bodied cigars, wide ring gauges, lots of smoke and aroma! Hoyo de Monterey, Punch, and Bauza are some of my favorites, all of which you’ve featured since I’ve been on board. Point is, I love you guys. Love talking to the people when I call in for reorders and the smokes you send me. I was the member of the month in 2000 and damn proud of it! My son got me a gift membership to your cigar club for Father's Day this year and at first I was concerned being a large ring gauge smoker, that you guys were gonna send me a bunch of coronas and panatelas, but I haven’t got one yet in 3 months. The folks that line up the monthly smokes must know what they’re doing because you really seem to focus on the larger ring gauge smokes which tend to burn cooler and allow the blender to introduce more different types of tobaccos into the blend. Bottom Line? Nice work! Everything received has come in great shape. I really like the variety and trying new things! 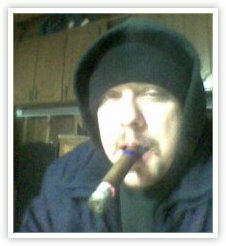 ...I been smoking cigars for nearly 12 years now… long before it was popular to smoke them and I’m pretty set in my ways. But my buddy set me up with a three month membership to your deal for my birthday and I must confess, it’s been really a great experience to try some new stuff. I’ve found a couple of new favorites, and can’t seem to get enough of the Bahia you featured two months ago. I reordered another box! This ole dog has a few new tricks… I’m now more open minded about trying new smokes. Thanks for that! I have the most awesome wife because she hates the smell of cigars, but got me a 6 month membership to your club for our anniversary anyway! I just got my first shipment and was very impressed with the selection you put together. I especially liked the Cupido Torpito. What a great little smoke! I was glad to see that I could reorder them from you and have to admit that I shopped it around on the web and you were quite a bit cheaper than other sources for the same cigar so I will be calling you. So far, so good! I really like the 'Ask Murl' Column in the newsletter too. Very funny stuff! The Premium Cigar of the Month Club takes pride in offering its members the absolute best in rare and premium cigars. We’ve focused on customer satisfaction and quality, and as you can see, our customers couldn’t be happier. Remember – our cigar club isn’t the only monthly club we offer. Be sure to read satisfied customer reviewed on our other subscription boxes, which you can combine with your membership using our Design Your Own Club™ program!